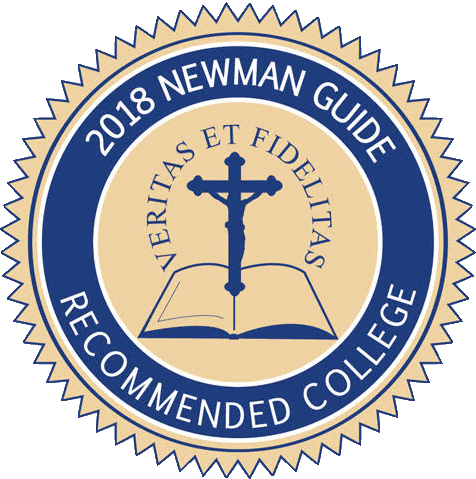 The 120-credit hour Bachelor of Arts Degree program, which provides a philosophically-based Catholic honors liberal arts curriculum with a major in Philosophy, Theology, English in the Humanities, Sacred Art or History in the Social Sciences, can be pursued completely on-campus or 100% fully online or a mixture of both on-campus and online courses. Students who complete at least ten courses in any of the four major areas may double major. The program is designed to give the student the proper preparation for graduate work in a related area, for teaching, or for ministry. The B.A. program requires an understanding of Philosophy, Theology, Humanities, Social Sciences, Mathematics and the Physical Sciences. What Bachelor degrees are avaliable? Holy Apostles offers the following Bachelor of Arts degree programs. Students may select a program of study that best fits their goals and passion. All programs are offered 100% Online. Applicants for the B.A. program should follow the Undergraduate Admissions procedures. Applicants must be able to show proficiency in both English and Mathematics, either evidenced by previous college experience or by proficiency exam. How does it take to complete the Bachelor of Arts degree? The Bachelor of Arts degree program may be completed in as little as 2.6 years when taking advantage of our Summer semester. There is a 6 year time limit from entry into the program for completion of the degree requirements. Our 100% online courses provide the flexibility for working or busy individuals.